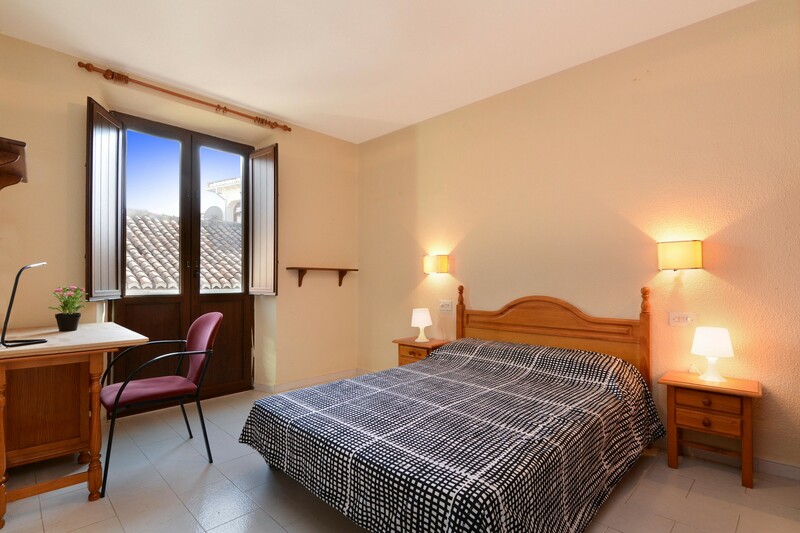 A large room with a double bed, desk, two chairs bedside tables, lamp, wardrobe, with views of the Alhambra in a shared apartment with three other people. Very central location, just off of Plaza Nueva in Granada. Fully furnished apartment: bathroom shared between three people, living room with television, kitchen with all equipment, crockery and cutlery provided, washing machine and central heating. Cleaner every two weeks included. On the third floor but the building has a lift. Wifi throughout the flat. The owner's office is right next door so easy to ask for help if any problems arise. In a building of around 10 flats all with Erasmus students so it is the perfect place to meet lots of people. Free from the 21st December but can start contract in January. To reserve, contract must be signed and fees for first month paid for.